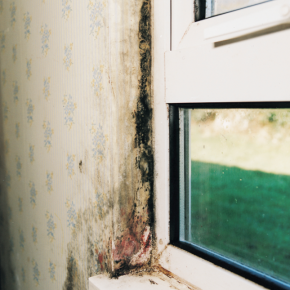 The Act makes it a legal requirement that rental properties, both social housing and private, are fit for human habitation at the beginning and throughout a tenancy, including the need for effective ventilation and freedom from damp. This is good news for tenants who should be able to demand good indoor air quality (IAQ) within their homes, protecting their health from the ill effects of condensation and mould. An amendment to the Landlord and Tenant Act 1985, the Homes (Fitness for Human Habitation) Act, now addresses problems caused by defective design – such as lack of ventilation – rather than just disrepair. The new rules also cover communal areas in shared buildings. If a home does not meet the standard and the property owner does not carry out the necessary repairs or maintenance, tenants will have the right to take them to court where a judge can issue an injunction forcing the work to be carried out. “Without effective ventilation homes are susceptible to condensation and mould which creates poor indoor air quality, leads to ill health and causes damage to the building itself. According to housing charity Shelter, 2.5 million people, in around 1 million homes, are living in accommodation not fit for human habitation. – Hazards under the Housing Health and Safety Rating System. As ventilation experts, Vent-Axia offers a raft of tools to help landlords meet the requirements of the Act. This includes free no-obligation site surveys where ventilation consultants can provide landlords with advice to determine the ventilation required for a home, plus supply a report outlining recommendations. This is a valuable service since it can help landlords deal with condensation and mould complaints; provide due diligence in the form of a report; ensure the correct product is installed; and provide expert ‘know how’ on curing the property. Vent-Axia also provides a supply and fit service, so whether landlords need planned maintenance of housing stock or require a rapid response to a disrepair case, qualified ventilation experts can carry out the ventilation installation. This gives landlords the peace of mind that a condensation and mould problem in their housing stock can be quickly and effectively solved. Designed to offer ventilation information and solutions, the link provides is a huge vault of free resources. Providing the social housing sector with vital guidance on how to avoid or combat condensation and mould by IAQ, the website offers visitors a route to their individual ventilation solution. It also has a section for private landlords, which includes information on curing/preventing condensation and mould and creating healthy homes for residents.